Hey, fellow Apaches, the time is quickly approaching to get together for our 50-year Reunion! Don't miss this one! Cost is only $40.00 per person, and includes dinner, music, and lots of fun! There is a reservation form on our webpage that you can download and print. Let’s get dressed up for this one – it is the 50th, after all. Also, if some of us geezers still feel like partying on after 11:00, the O’ Club bar will be open until 1:00 pm. Country Club Lanes bowling alley bar area. Address, for those of you who have forgotten, is 2600 Watt Ave, corner of Watt and El Camino. Remember our graduation party there? Ah, good times, good times. There is a No-Host bar and the Reunion Committee will provide snacks. A great chance to get an early start to visiting! The Lions Gate Hotel, which is right by The O’ Club, is offering special rates for our event! You can secure either a Standard Queen room for $115.00 a night or a 1-bedroom suite for $125.00 a night. These special discounted rates are good for both Friday and Saturday nights! Rates includes high-speed internet connection, free parking, free continental breakfast, discounted shuttle to/from airport. 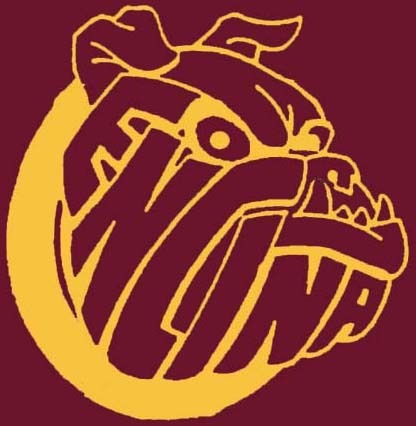 In order to get the discounted rates, you can call to reserve your room, 916-643-6222 and mention the "Encina 50th High School reunion" or click on this link, http://bit.ly/2yrnJTf. These rooms are available at this rate for us until August 24, 2018. Here is a link to the hotel website. "https://www.redlion.com/lions-gate-sacramento"
Reserve your rooms now! See you in September! Please, please help us get in touch with as many of our classmates as possible! Let us know your current information, and any contact info you have for other classmates. Don’t worry about duplicating! Just send the updated information to the Reunion Committee email address, Committee@encina1968reunion.com. We also have a Facebook page to which you are welcome to post. Hello, fellow Apaches! We still have some memory books from the recent 45-year class reunion. They turned out great, and if you would like one, they are $25.00 each. Just send a check to Jeff Stoddart, 3938 Pounds Avenue, Sacramento, CA, 95821. Remember to check the reunion website for any updates as we start our planning for 2018! Keep in touch - we will see you then! Octoberfest theme - details to follow! I am letting you know that a memory book will be available to order at the reunion. The cost is still only $25.00 so either bring a check or cash to pay Swentowski Photography. Not coming this year? Anyone not attending the reunion can order one from your reunion committee. 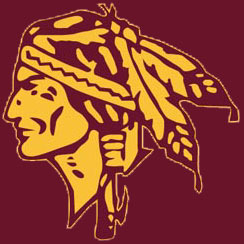 Make check payable to ENCINA HIGH CLASS OF 1968 and send to the address on our website (http://encina1968reunion.com). Only a limited number of extra copies will be ordered so we may run out. Hey, Class of 1968! Did you realize it's been 35 years already? Hard to believe, but true. So to celebrate, we are planning the best reunion ever! We've got a great site, already have entertainment lined up, we will have great food and an evening full of fun. Below is a list of "Lost Souls". If you know how to contact any of these folks, either let them know we are trying to reach them, or let us know how to contact them. To all of you from the Class of 68 - We would love to hear what you have been doing since high school. Please submit your bio information by clicking on "Submit bio for class homepage" at the bottom of this page. The 1968 Class Directory lists contact information for your classmates. Please submit your contact information. North Korea seizes US Navy ship Pueblo, holding 83 on board as spies. North Vietnamese launch Tet offensive. President Johnson announces he will not seek re-election. US soldiers massacre 347 civilians at My Lai. Martin Luther King assassinated in Memphis by James Earl Ray. Robert F. Kennedy assassinated in Los Angeles by Sirhan Sirhan. President Johnson orders halt to US bombardment of North Vietnam. Academy Awards, Best Picture - "Oliver!" Rock musical "Hair" opens on Broadway. power salute during US national anthem.